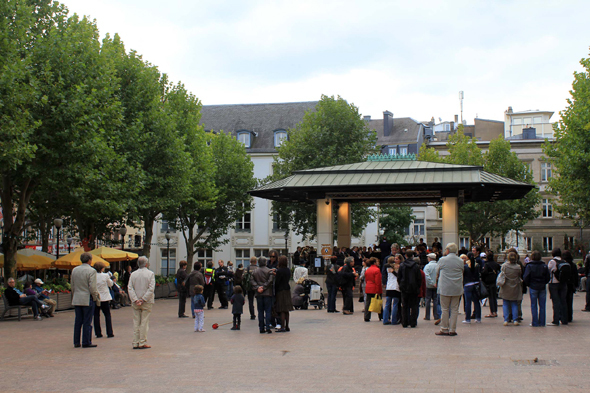 The Place d'Armes. Squared and shaded, it is the lively center of the city. In season, it is filled with coffee terraces.